C.C. 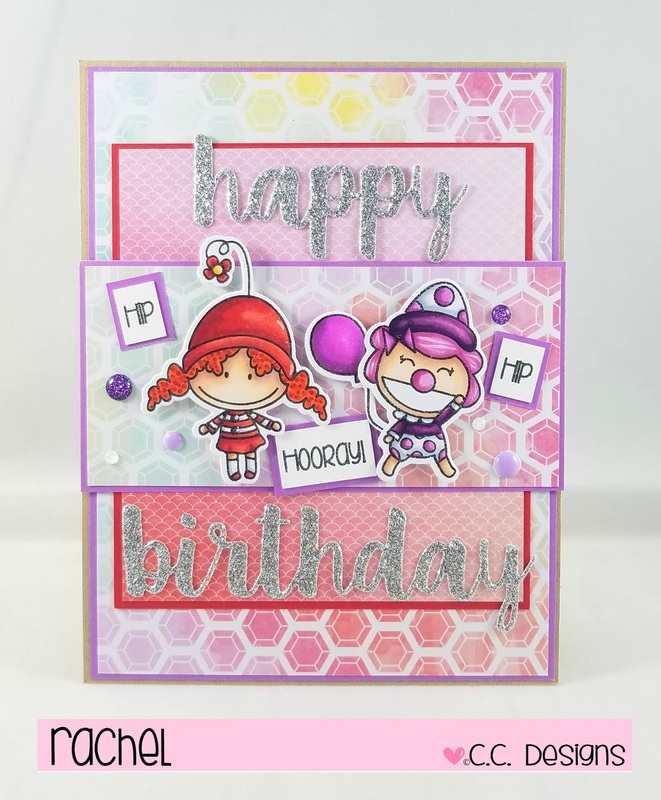 Designs: Hip Hip Hooray!!! using the new Clowns set from C.C. Designs!!! set, and then broke it down into individual word squares. for a fun eye-catching message!! I hope this gives you some crafty inspiration! !